Krim Ljubljana is the third team we present here on TimeOutmagazin, qualified to the semifinal of the CL. Slovenians will fight their chances against Norwegians from Larvik HK, the first match will be played in Larvik, on Satrurday, 6/4-2013. 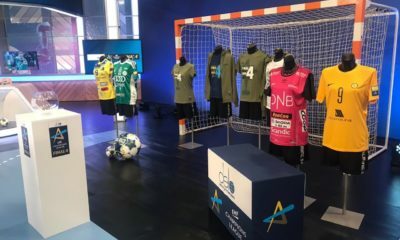 The first leg of this duel will be played in Larvik Arena, due to the fact that Krim Ljubljana has won their Main Round group and Larvik finished second behind Győr. Krim Ljubljana started these years CL competition with a complete new team, players left and arrived to/from Slovenia. 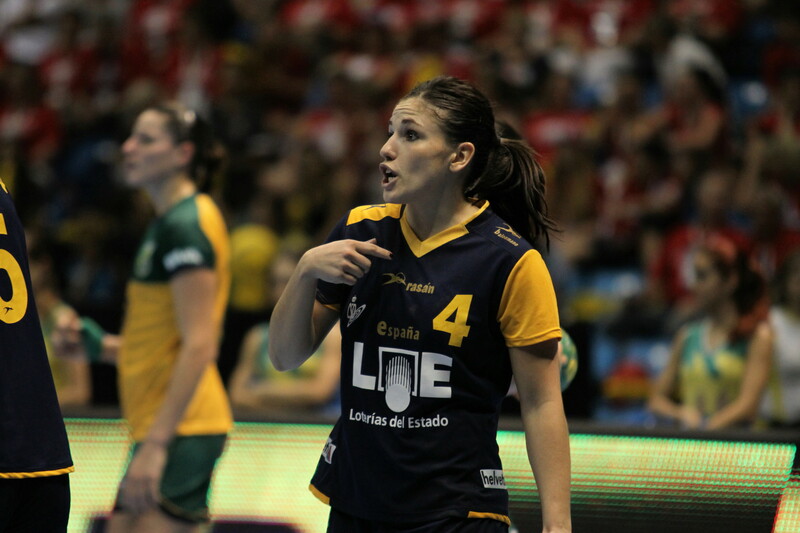 Linnea Torstenson, Gabriela Kain, Daniela Piedade, Carmen Martin, Nina Wörz, Susan Müller (who leaves after this season to HC Leipizig) were all among new players. The duty of the coaching team seemed to be not to easy, forming a compact team of these individually good players. 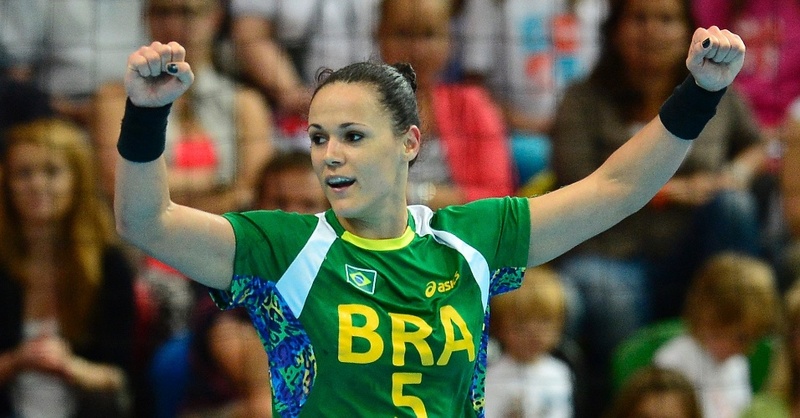 The group stages were maybe the most difficult for Krim, since they had many injured players, after Olympic summer. Linnea Torstenson, Andrea Penezic, Carmen Martin, Ludmila Bodnieva has all suffered injuries, with a longer recovery period. Before starting the season Daniela Piedade had suffered a stroke, and everyone was convinced that she has to stop her career. But not her: Piedade made her come back in February, producing a total recovery after her serious illnes and she worked hrd to get back her sports shape as well. Krim met in the groups Podravka Koprivnica, “U” Jolidon Cluj and Győri Audi ETO. They played very exciting matches, has been defeated two times by Győr, they managed to get two victories against Cluj and in the decisive match against Podravka they got the last Main Round pot of the season. The Main Round showed a better and wider Krim, injured players was ready to return (Penezic, Torstenson, Piedade, Martin) and the team has improved from game to game. Slovenian team has defeated Oltchim and FTC in Arena Stozice, lost against these in the away matches, but managed to win Zvezda twice as well, which was enough to qualify to the semifinals. In the last round Zvezda got their only victory of the Main Round against a tired FTC and Krim lost against Oltchim by only three goal difference, getting the first place of the group. Krim Ljubljana met Larvik HK in CL several times, even in semifinals some years ago. 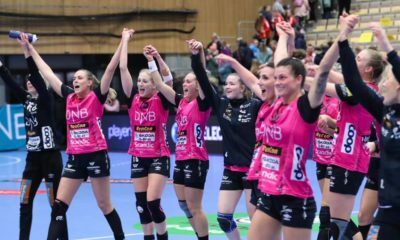 Larvik is an experienced team, meanwhile in Krim there are players who will play their every first CL-semifinal: Nina Wörz, Jelena Grubisic, Andrea Penezic, Susan Müller, Linea Torstenson. 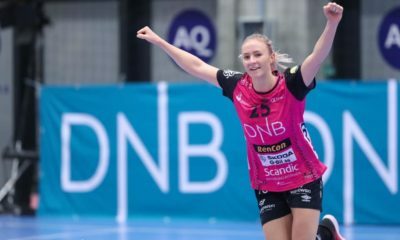 Swedisch backplayer, Linnea Torstenson was unfortunatelly injured in the match against Zvezda, her hand was broken and a surgery was needed. She is our for 2 months, and will not participate in the semifinals, which is a big loss for Tone Tiselj’s team. 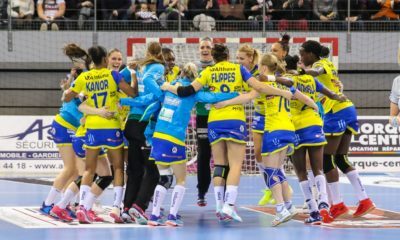 Another players are also injured and their play is questionable: Maryna Verghelyuk has a knee injury, Andrea Penezic’s ankle is in constant pain, and Susan Müller’s German doctors decided that the player must take one week rest because of her knee. “Because of injuries and health problems, the situation is far from ideal, but still better than in the first part of the competition. In training we have often to improvise, we’ll see if this will be enough in Larvik. Larvik, like the Norwegian teams, has a well-defined playing system. If they have to replace a player,the system still remains the same all the time, and that is their greatest strength. If you compare their way to play handball with those from ten years ago, there is no difference. It has a superior defense, transition and great discipline in the game because of a few technical errors, in addition the players are perfectly prepared physically.